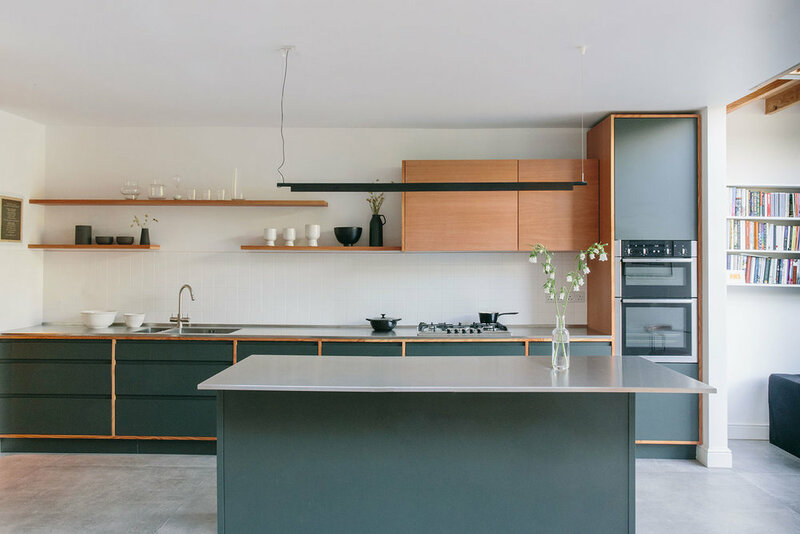 The starting point for this kitchen, in a stunning two storey glass extension on the border of Peckham and Nunhead, was the exposed douglas fir beams in the side return. Hannah and Mark wanted us to pick up that detail in our kitchen design, but didn't want to be overwhelmed with wood. We settled on dark green (supermatt) doors in a douglas fir frame, with douglas fir floating shelves and wall units. The stainless steel worktop, only 20mm thick, and the concrete tiles completes a beautiful pallet of different materials. Hannah: "Tom and Malcolm are master craftsmen. 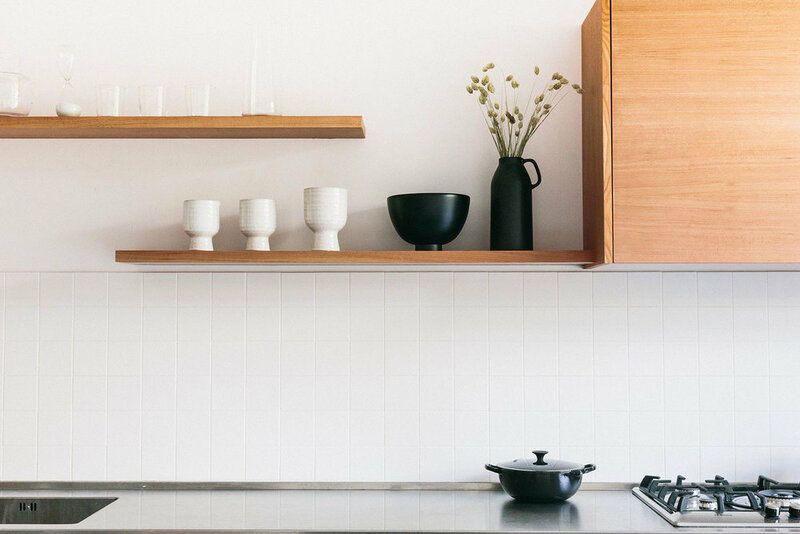 They have an excellent eye for good design and an invaluable understanding of what will work in a kitchen on a practical level. They came up with great suggestions/solutions for our kitchen design, and made us an absolutely beautiful kitchen. The conditions on our site were not always easy but they dealt with all challenges patiently and without complaint. We are so delighted we hired them and recommend them unreservedly."